I’m on the last stop of “the tour” in Las Vegas, Nevada. There are two conferences in town – VSLive! and MEDC. I’ll be presenting twice at VSLive!, and them I’m going to relax with an open schedule for the foreseeable future. Hopefully I’ll get back to doing more writing in the evenings. Here is some old news I’m just catching up on…. Reporting Services Service Pack 2 came out a few weeks ago. 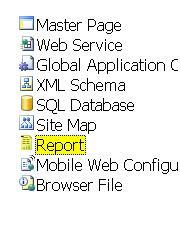 One anticipated feature was the client side print capability which adds a print icon to the report toolbar. Behind the little icon is a downloadable ActiveX control that will allow the user to preview and set print orientation for reports – without using Internet Explorer’s report mangling “print” features. 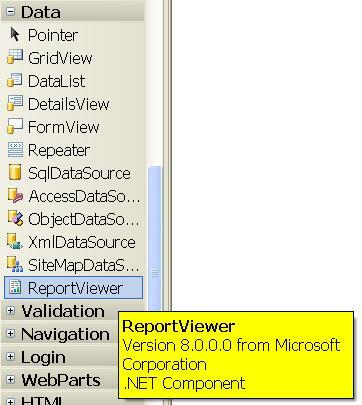 Also new, and report related, are the stand alone report controls in VS 2005 Beta 2. A new project item type Report (a file with an RDLC extension) is now available to add to your projects. Everything works very similar to the report designer included with the Reporting Services server product – but these controls don’t require a server. The only dependency is the .NET Framework 2.0. There is also be a ReportViewer component in the toolbar that you can drag onto a Web or Win Form. You can point the viewer to a server based report on a report server, or to a local RDLC file in the same project. Rajeev Karunakaran [MSFT] has written up a useful FAQ on the new components at sqltalk.org.